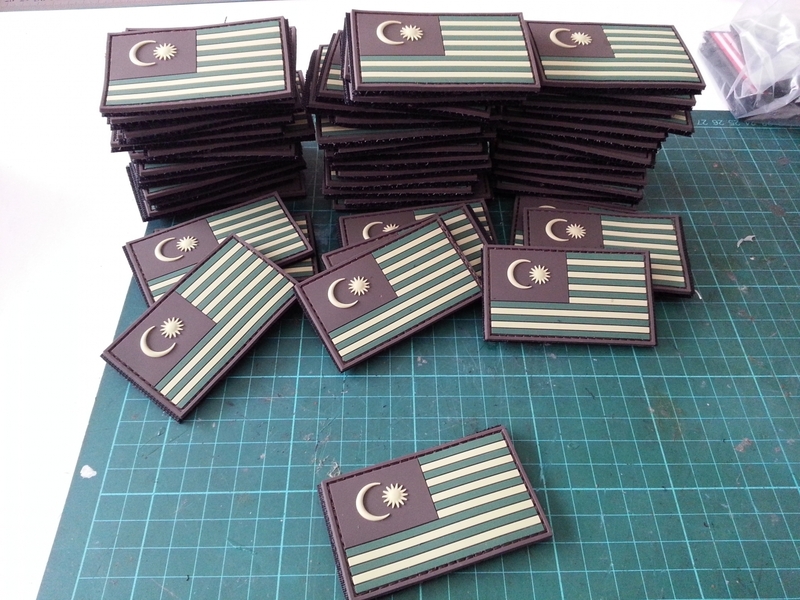 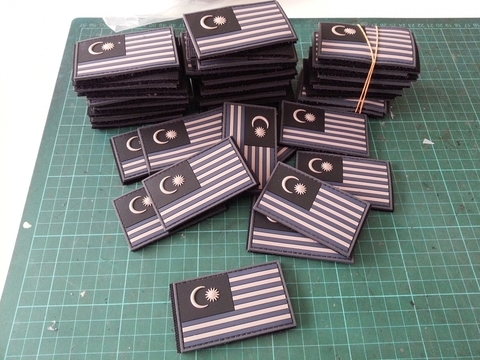 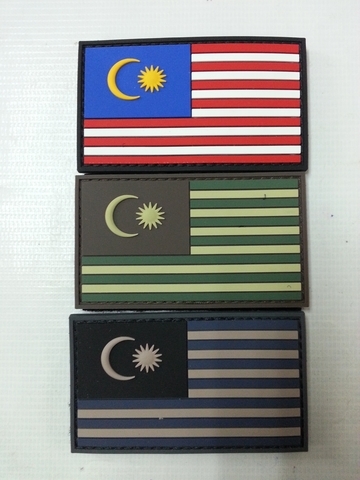 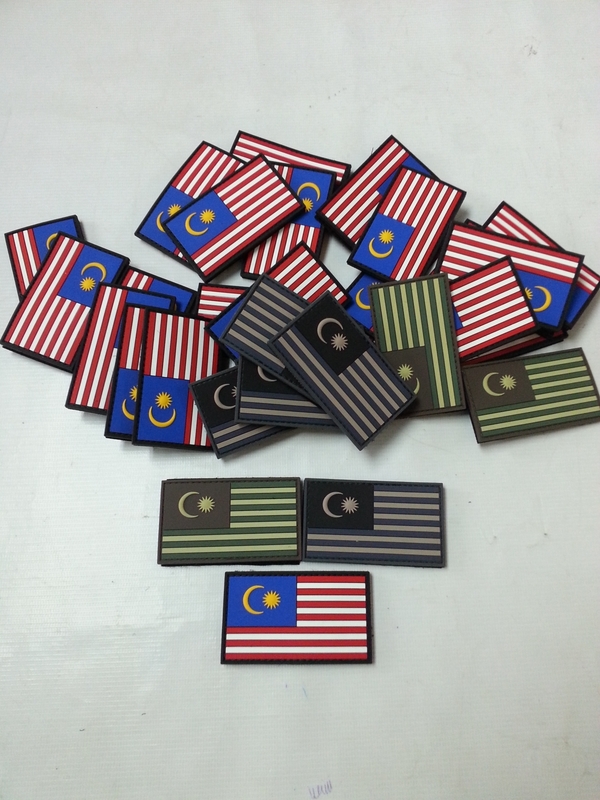 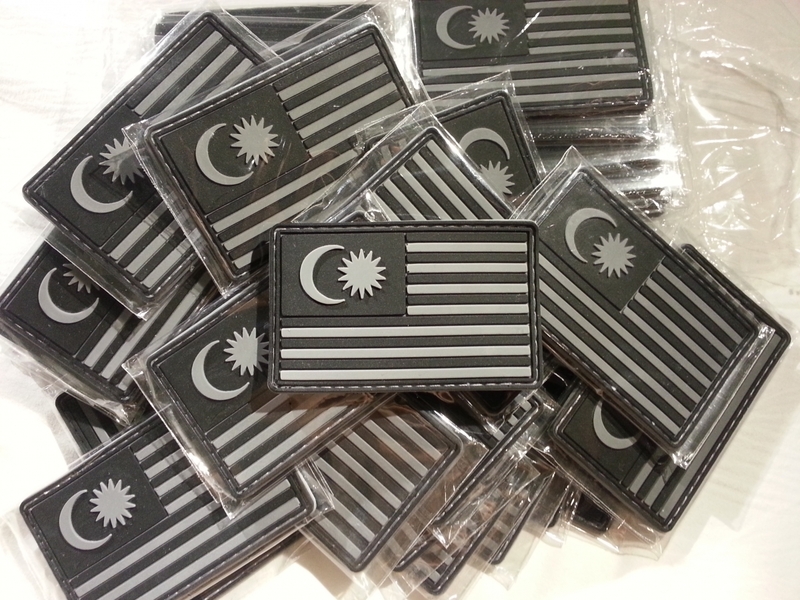 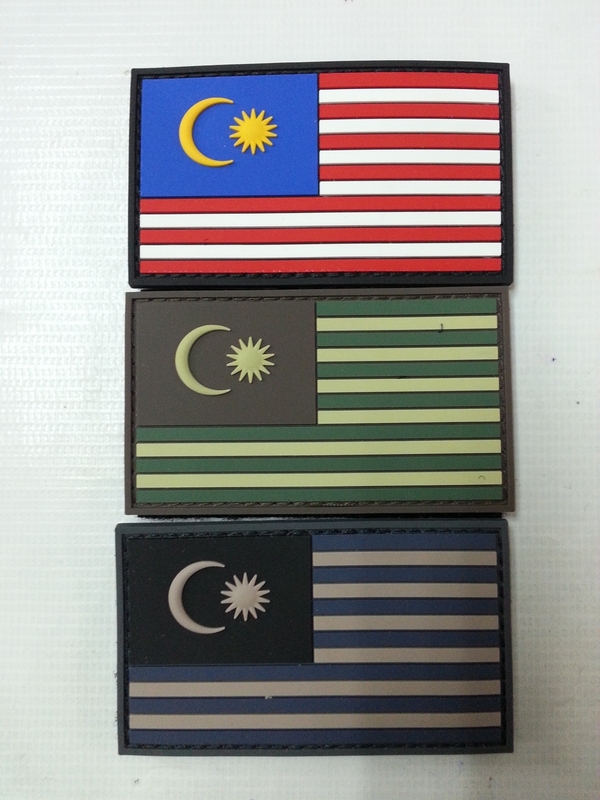 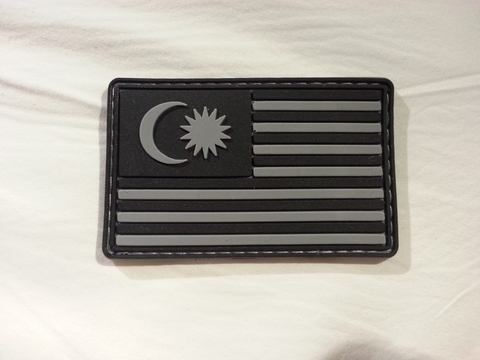 Our Malaysian Flags are now in PVC form and they turned out pretty sweet. 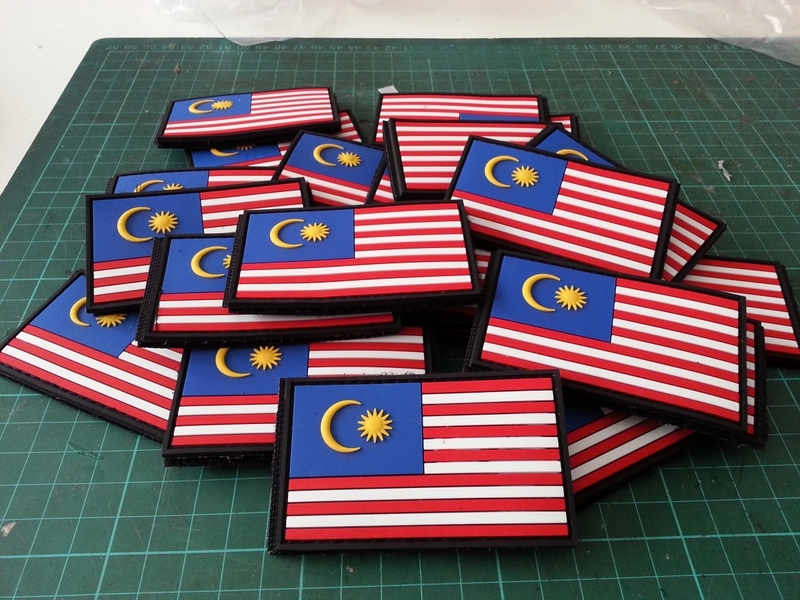 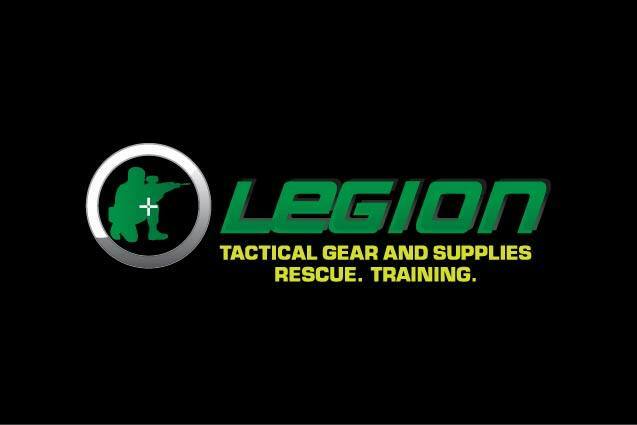 They look clean, are nice and durable, and hook velcro won't stick to them like normal embroidery. 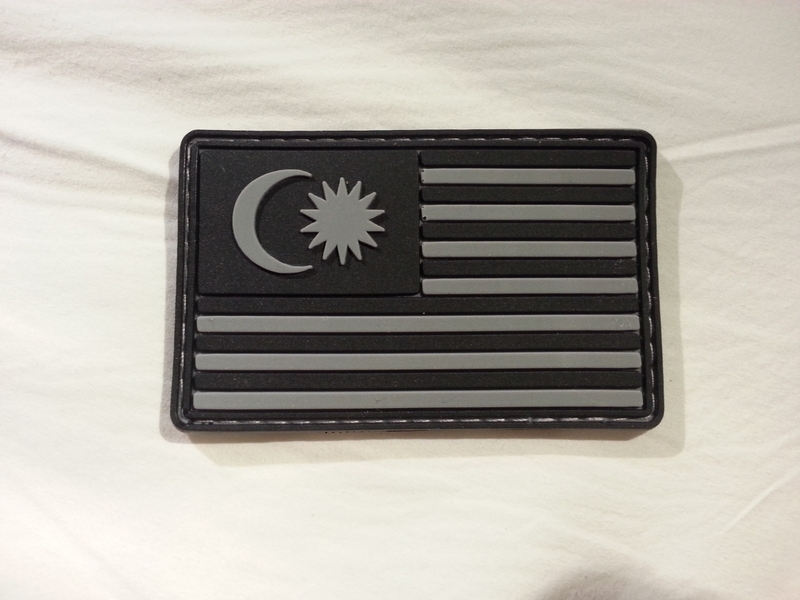 Overall matte with very low reflectivity. Hook velcro sewn on the back, loop velcro is included FREE!